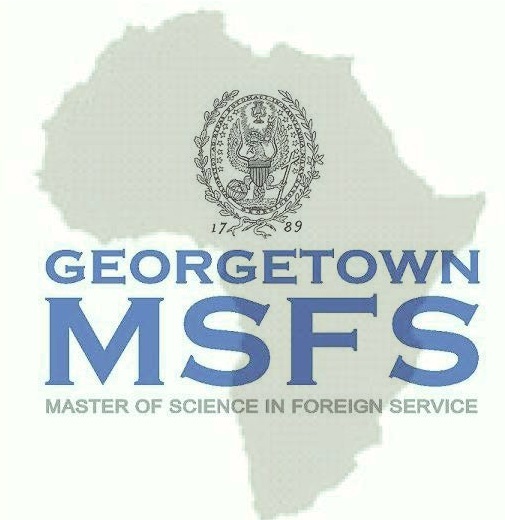 As of fall 2014, the Master of Science in Foreign Service (MSFS) at Georgetown University began offering a full-tuition scholarship for a talented graduate student from sub-Saharan Africa. MSFS is a two-year, full-time graduate degree program in international affairs. Students will take courses in international relations, international trade, international finance, statistics and analytical tools, and history. In addition, students choose an area of concentration such as Global Politics and Security, International Development, or Global Business and Finance. Professional work experience, ideally in a field related to their future professional goals. Students have an average of four years of work experience prior to joining MSFS. To be considered for the scholarship, applicants must submit all required application materials (online application, personal statement, official transcripts and test scores, letters of recommendation). The scholarship will be awarded based on the strength of the student’s application in the admissions process.